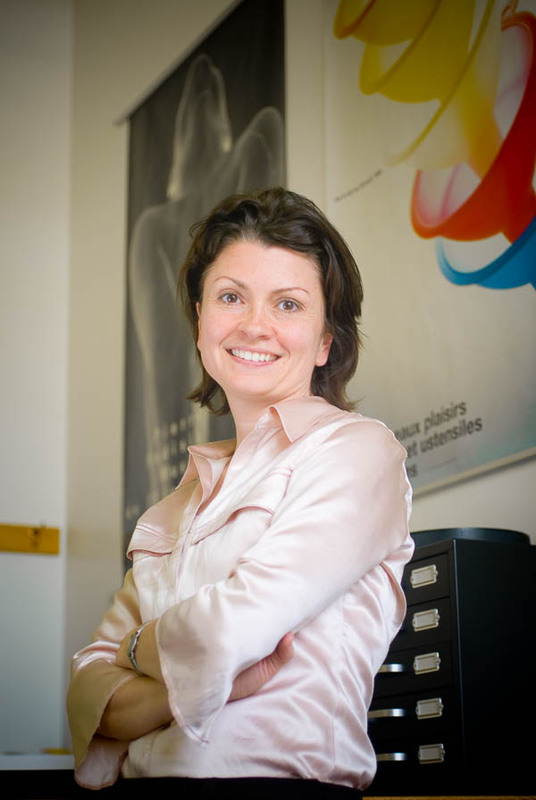 Associate Professor Annabelle Gould joined the Division of Design in autumn 2003. Prior to joining the faculty at the University of Washington, Gould operated her own design practice in Los Angeles, specializing in both print and interactive communications for a diverse client base. She continues to practice professionally, primarily in publication design, for clients including Chronicle Books, the Traver Gallery, Lead Pencil Studios, Digital Kitchen, and the University of Washington. She has been an adjunct instructor at the Art Center College of Design and Otis College of Art and Design. Gould is an active member of the AIGA and is currently serving as co-chair of the AIGA's national Design Educators Community Steering Committee (DEC). Her design work has been recognized in the AIGA 50 Books/50 Covers competition, the Type Director’s Club, the Society of Publication Designers, and Print Magazine. In 2012, she collaborated with her colleague Karen Cheng to produce an issue of ARCADE Magazine on the topic of design education. Watch Gould's 2010 lecture on her design work, teaching philosophy, and student work.